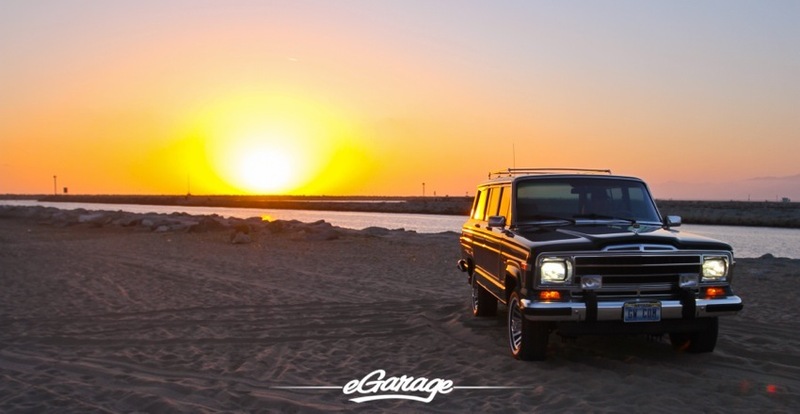 In 1963, when manufacturers like Land Rover were making utilitarian vehicles with the focus towards off-road and work uses, Jeep was busy pioneering the luxury SUV market with the Grand Wagoneer. 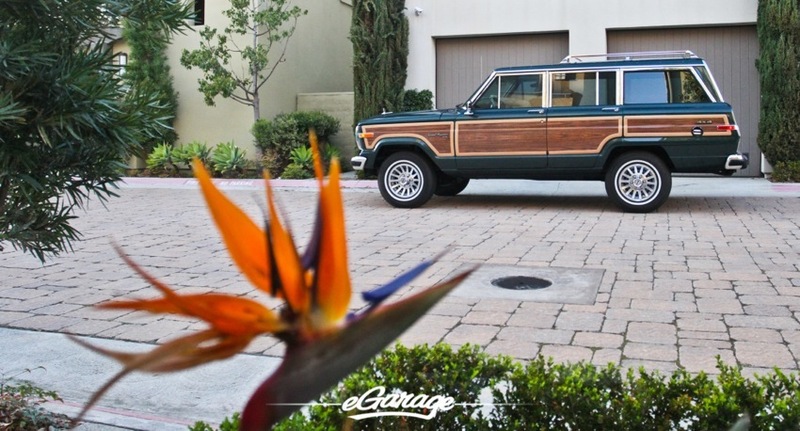 For 24 years, the Grand Wagoneer owned the American luxury SUV market before Land Rover ever released the Range Rover line in America. 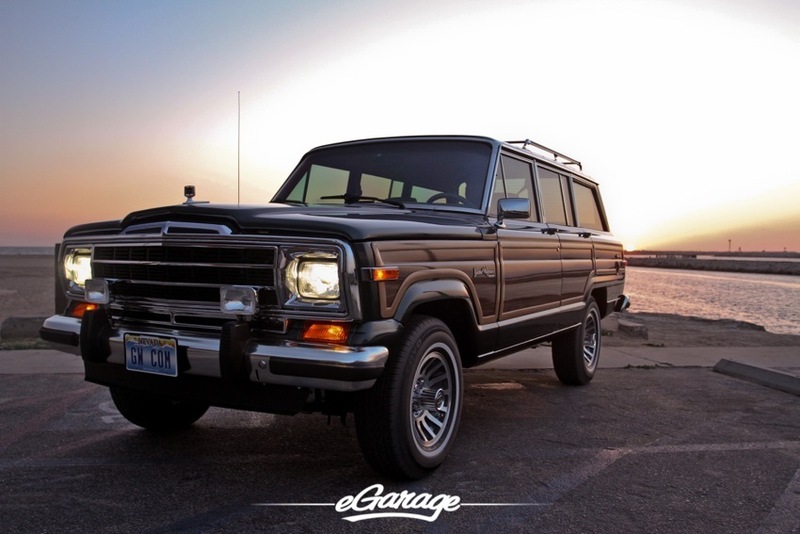 Today many automotive collectors find the Jeep Grand Wagoneer highly desirable. An iconic piece of American Automotive history that has seen a revival over the last few years. 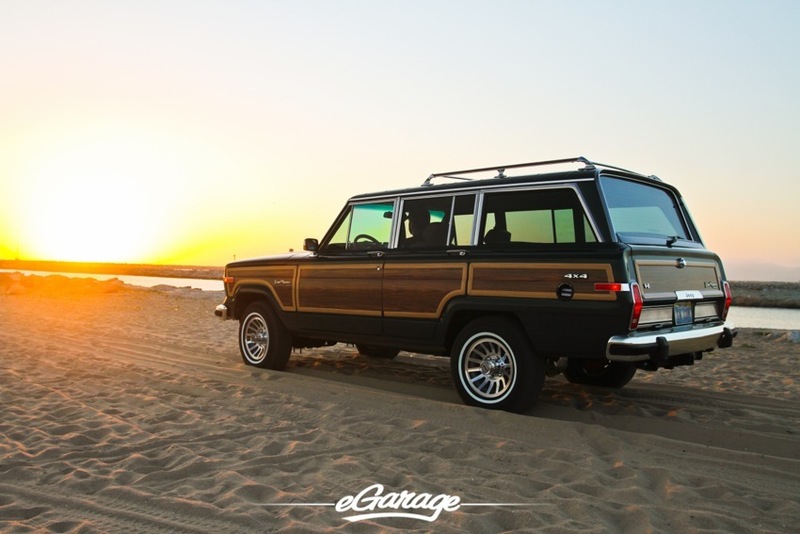 With “restomods”raising in popularity, the craze has made its way into today’s Jeep Grand Wagoneer. 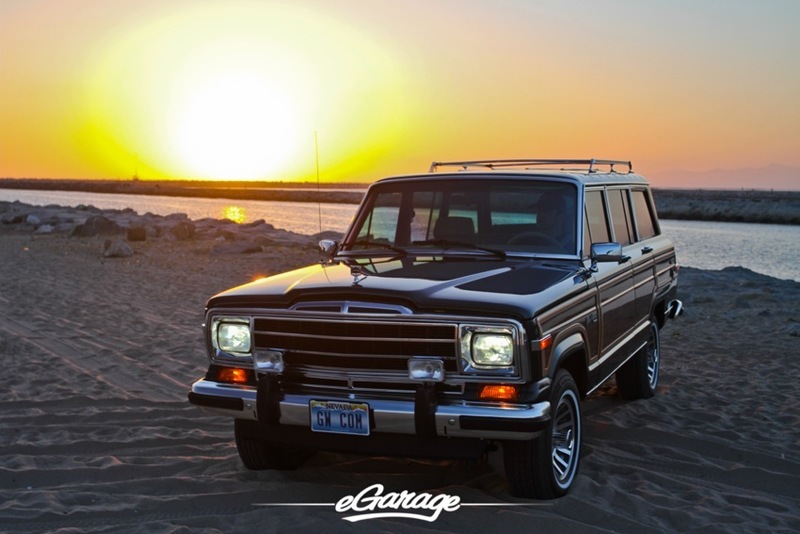 So who is the authority on the Jeep Grand Wagoneer? 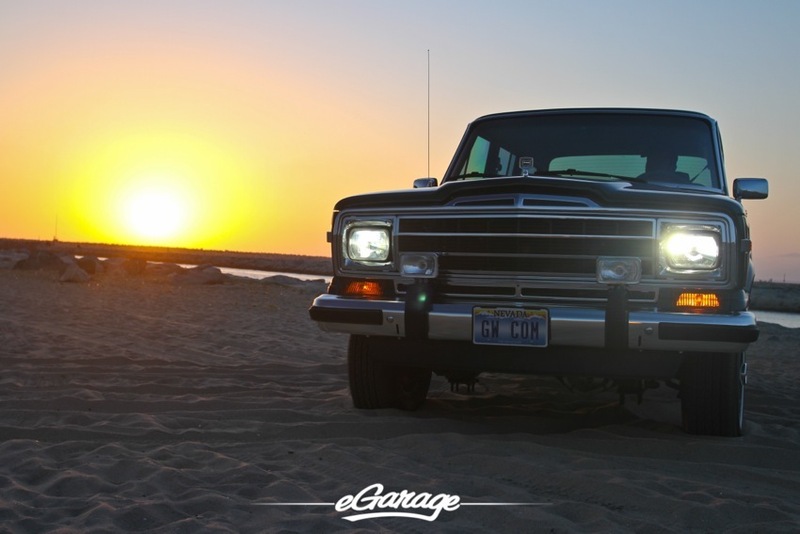 Meet Norbert from GrandWagoneer.com. Norbert is responsible for the most complete restorations of these Jeeps. His ground up restorations equal the quality you would see with vintage Ferrari or Porsche restorations. 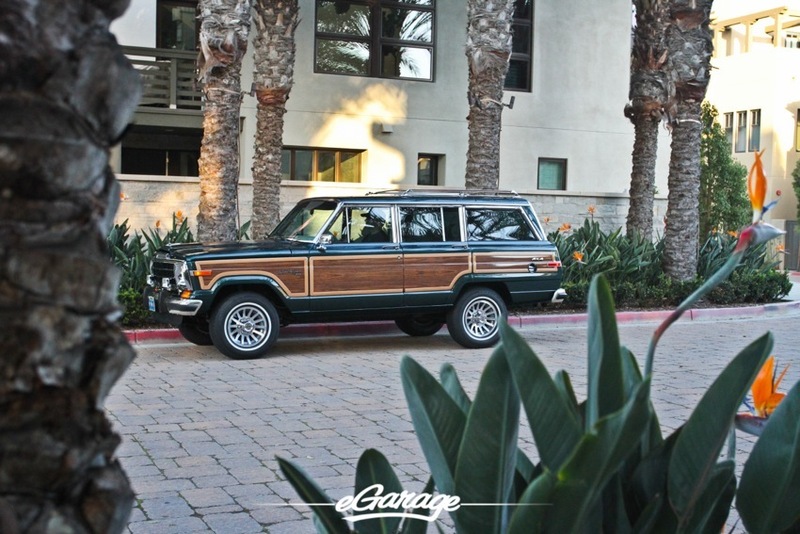 His attention to detail is unparalleled within the Grand Wagoneer market. After spending a few hours with his recent restoration, I was hard pressed to find one flaw with what was a 20 year old vehicle. Added luxuries such as backup camera, heated seats and bluetooth capabilities make these vintage Jeeps perfect drivers today. With a boost in performance of over 400hp and 400lbs and upgraded suspension Norbert’s library of upgrades seems almost endless. A list of upgrades is listed on his website. Spending the day with Norbert it was obvious his passion for the Grand Wagoneer goes beyond the business. 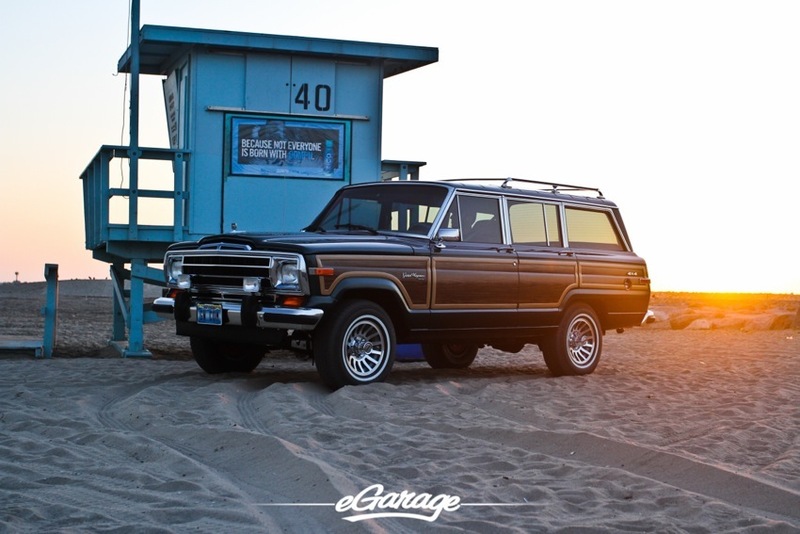 He truly wants the iconic Grand Wagoneer to live on. According to his impressive client list, and witnessing his restorations among respected car collections, it speaks volumes about his dedication and his work. Norbert’s Grand Wagoneers are the perfect marriage of classic aesthetics with modern performance and functionality…expertly and meticulously hand-built in America. 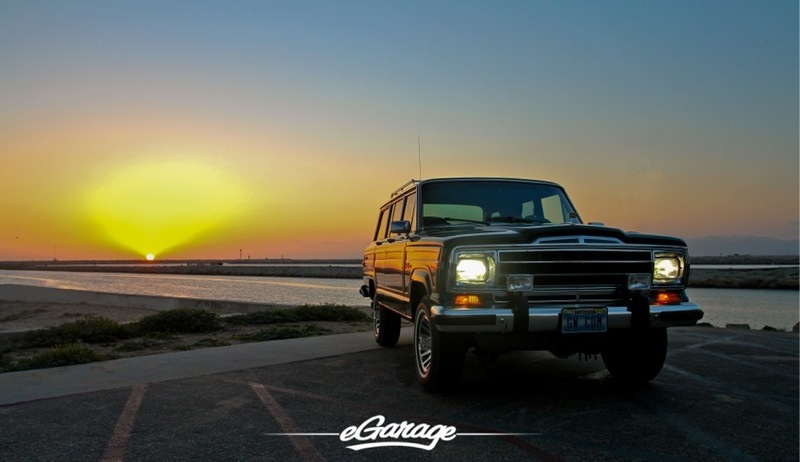 As the sun set in Los Angeles, Norbert was more than happy to take on our eGarage freestyle photo shoot approach. Funny enough, we ended up on the beach. Maybe the only thing missing from the day was the surfboards and the beach babes.